Lummi Shore Road Revetment Monitoring – Experts in Puget Sound coastal processes, management, and cost-effective design since 1993. In the late 1990s, a large rock revetment was placed at the base of Lummi Shore Road and Lummi View Drive to protect the vital roads from further storm damage. These roads, which run along the Lummi Peninsula on the western shores of Bellingham Bay, had been experiencing erosion and overwash from high-energy storm waves. This project also included the input of beach nourishment to mitigate the resulting loss of sediment supply to forage fish spawning habitat. Rock revetments and beach nourishment often require periodic maintenance over time. In recent years, the revetment has experienced degradation in several areas. Information is needed on the ongoing status of the revetment in order to prioritize repair and determine if the revetment and beach nourishment solutions are continuing to provide the desired protection and mitigation. 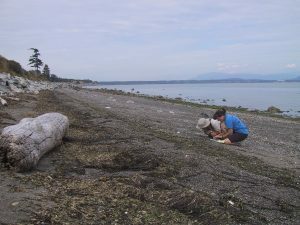 Sampling sediment along Lummi Shore Road. CGS has worked for the Lummi Nation to monitor changes in these shores since 1996. Monitoring began before the construction of the revetment and has continued through 2018. 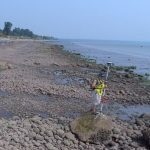 Monitoring began with measuring beach profiles using a total station, sampling beach sediment, and documenting conditions with extensive photographs. CGS now uses drone (UAV or UAS) aerial photography and RTK GPS units to thoroughly map conditions with greater precision and accuracy. Beach profiling with total station, 2001. RTK GPS units were used to gather high-quality positional data for mapping and ground control in 2017. Monitoring continues along the revetment. 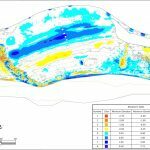 Most recently, these monitoring data have been used to prioritize repair along sections of damaged revetment, appropriately allocating funds to repair the most heavily damaged or at-risk sections. 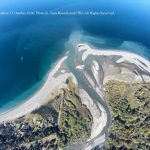 High resolution 3D models such as the example below can be created using images from a drone and ground control from RTK GPS systems to provide a close-up look at revetment conditions. Quality long-term monitoring can ensure the longevity of shore protection systems such as the Lummi Shore Road revetment.